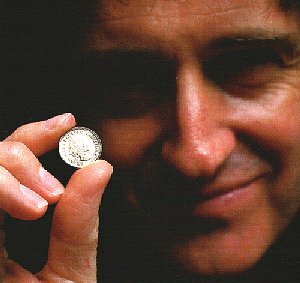 Queen’s Brian May uses the old British currency sixpence coin as his guitar pick. 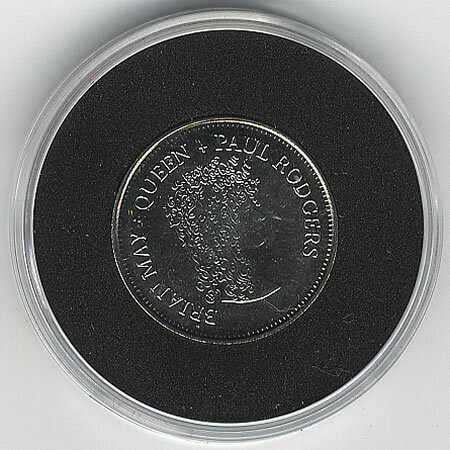 The coin May uses only had silver in it until the 1940’s and they were removed from circulation in the 1980’s. 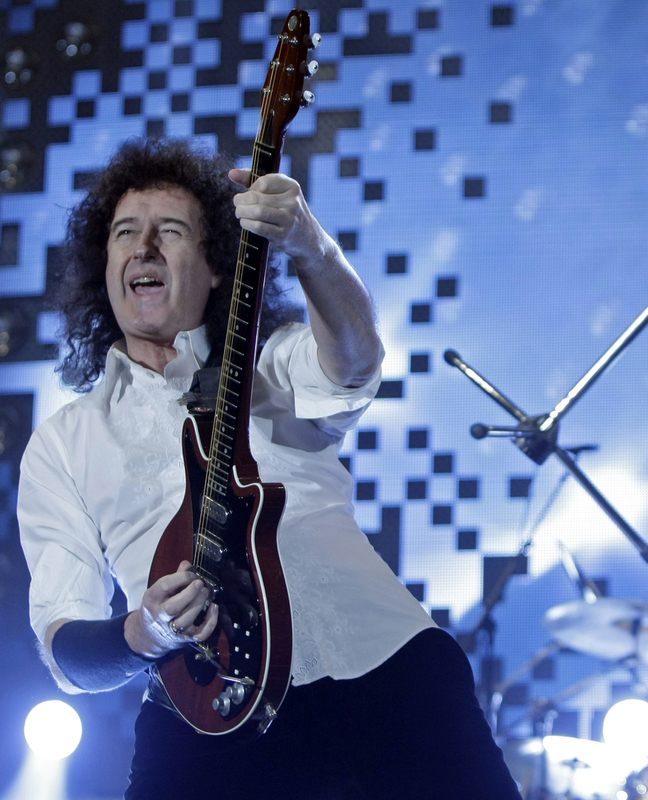 May chose to use the sixpence as a pick because he found plastic picks too flexible. 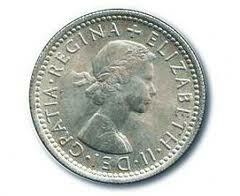 May holds the coin very lightly and occasionally uses its serrated edge against the strings for certain sounds. Here’s a recent shot of May playing live and a close-up of the sixpence coin. 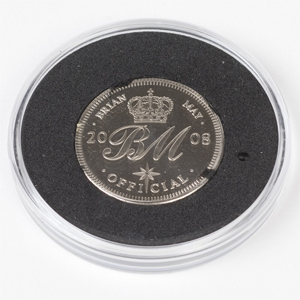 For his first solo tour, May actually had some sixpence sized coins specially minted and sold them during the tour. 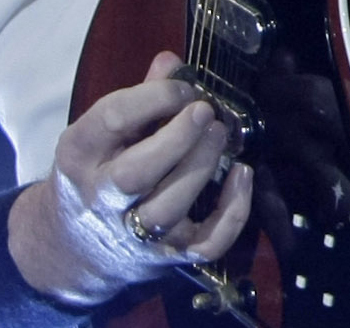 Apparently Billy Gibbons of ZZ Top uses a Mexican peso as picks as well.